It is the real world, not logic, which makes a thing true. Facts, nature, reality constitute the standard of truth, not logic. I would also note that, while there exists an infinite number of logical expressions (after all, every mathematic equation is a logical expression, and there are an infinite number of such expressions), only a small fraction of those will find exemplification in existence. Logical validity is therefore no warrant of truth. Synthetic propositions, on the other hand, are factual -- and for this, man pays a price. The price is that they are contingent, uncertain and unprovable. Here we find a choice example of a failure to get the point. When Wittgenstien wrote, "The propositions of logic all say the same thing: that is nothing," this was not meant as an attack against logic or truth; it was meant as an attack against rationalistic speculation. Logic, by it's own devices, can only insure that the conclusion of an argument are consistent with its premises (i.e., that it says "the same thing," as Wittgenstien puts it). It's not the function of logic to determine whether the premises or the conclusion are true. While logic can be a very useful tool in testing and arriving at truth, it is not itself true, nor is it a fail-safe test of truth. Analytic-Synthetic Dichotomy 1: Intro. From the confusions of Rand's theory of definitions we descend into the incoherencies of Peikoff's criticism of the analytic-synthetic dichotomy. Hardly the most agreeable of tasks, but it's time someone took a critical eye on the Peikoff's main contribution to Objectivist epistemology. The analytic–synthetic distinction (also called the analytic–synthetic dichotomy) is a conceptual distinction, used primarily in philosophy to distinguish propositions into two types: analytic propositions and synthetic propositions. Analytic propositions are true by virtue of their meaning, while synthetic propositions are true by how their meaning relates to the world. However, philosophers have used the terms in very different ways. Furthermore, philosophers have debated whether there is a legitimate distinction. Definitions: conclusion. 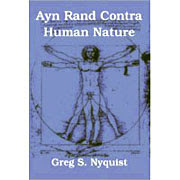 Rand's theory of definitions constitutes one of the most Aristolean aspects of her philosophy. There are, to be sure, changes (e.g., essences are "epistemological" rather than "metaphysical"), but in the end these changes amount to very little. Objectivism is an essentialistic, definition-based philosophy. As I've noted in earlier posts, definitions are at the heart of Rand's epistemology. Rand suggests that the reason why people disagree with her about morality and politics is that they are guilty of holding "wrong" or inaccurate definitions. 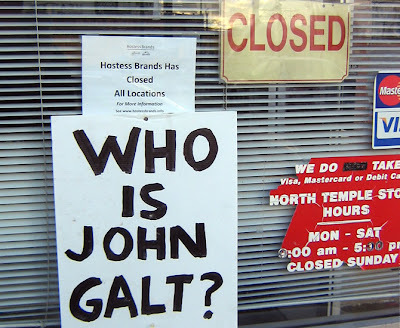 If we all formed definitions "properly," we'd all agree with Objectivism. In this series on definitions, I have sought to show why Rand's theory is erroneous. Rand tacitly thought of meaning as being something different than the concept. So if an individual ascribed the wrong meaning to a specific concept, they were in effect using the wrong definition. However, if I define tomatos as a fruit with an orange rind, I am not actually guilty of using a wrong definition; I'm guilty of improper word usage. Fruit with an orange rind is itself a concept, as is any meaning whatsoever. That's essentially all that a concept is: a meaning. What word is connected to a specific meaning is a matter of convention. A specific meaning can neither be true or false. It merely is. Nor does it matter one jot whether a proposed meaning accords with anything in reality. The meaning/concept of unicorn is every bit as "valid" as the meaning/concept of horse. What is important is what we assert of a specific meaning within the confines of a proposition. The proposition Unicorns exist is false; the proposition Horses exist is true. Twinkies Are The New Rearden Metal. Occasional ARCHNblog contributor Neil Parille takes a look at the Ayn Rand Institute's latest retouching job: "100 Voices: An Oral History of Ayn Rand". Kind and generous, beloved of children and small animals, never a cross word spoken etc.